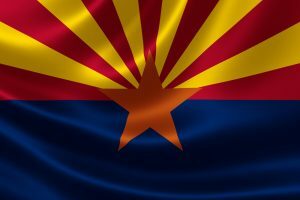 Arizona is a state located on the southwest of the United States. It’s the 6th largest state in the country. It is also the 15th most populated state. Phoenix is the capital of Arizona. It’s the largest city in the state as well. Arizona has a very strong economy. It’s larger than many European countries. The main centers of Arizona economy are Phoenix and Tucson. The state is also attractive for tourists. A lot of people come to Arizona to enjoy its beauty. Many popular touristic spots are located in Arizona. The weather attracts “snowbirds”. Summers are very hot in the state. Winters are mild and pleasant. Though the weather can vary from place to place. Relocating to Arizona? For sure, you have a lot to take care of. But AM PM is always ready to help you out! We are here to assist you with Arizona Auto Shipping. We provide Arizona Car Transport for any vehicle. Wherever you are going, we will get your car there for you! Going to Arizona to spend your winter there? We are always here for our “snowbirds”. Take your vehicle with you, so you won’t have to rent! We can also transport your RV if you are planning to live in one. Studying in Arizona? We will help you save money with our Arizona Auto Transport! We know you already pay a lot for your tuition. We’ll ship your car for a great price. And we also have special discounts for students. So don’t forget to mention you are a student when you are calling AM PM! We always try to get the best deals for our clients. AM PM is the company that truly works for you! We can ship any vehicle to or from Arizona. Trust your Arizona Car Transport to a crew of experts! Call one of our agents to get more info. You also can get a free quote from our website.